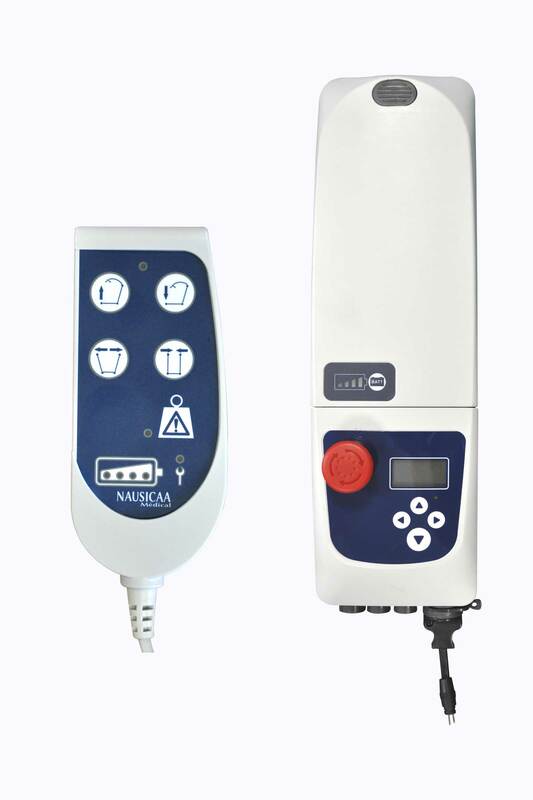 It allows enhanced handling for daily transfers due to its flexibility of use (electrical openings up to 107 cm), its 8 000 N actuator (180 kg weight capacity), our premium control box and optimized castors for a better mobility. 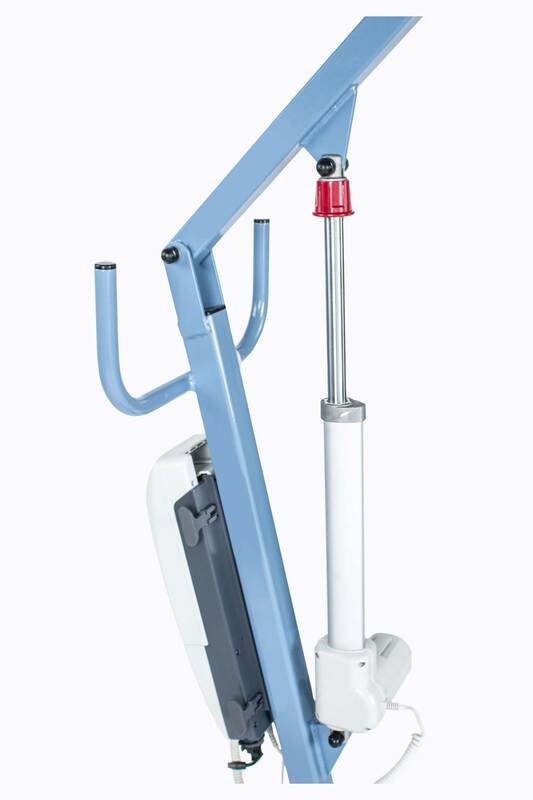 CE certified and manufactured in France, the BLUE FLYER PLUS with opening legs (electrical or mechanical) is an entry-level patient lift. 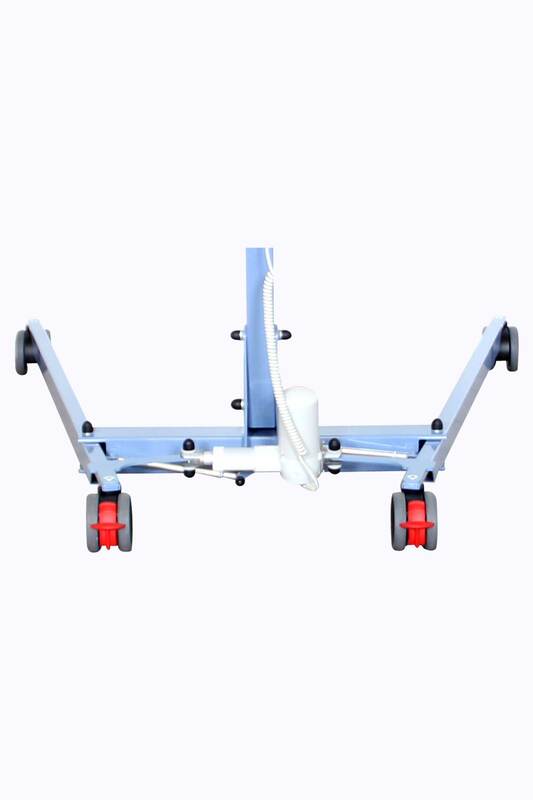 Likewise, to improve its manoeuvrability, it has 100 mm wheels with reduced height (same overall height as the 75 mm wheels) allowing to pass under the low-level beds. 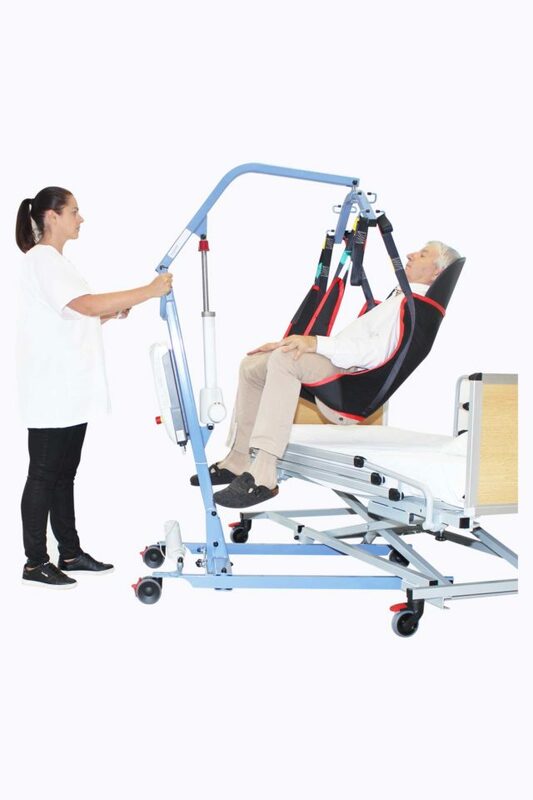 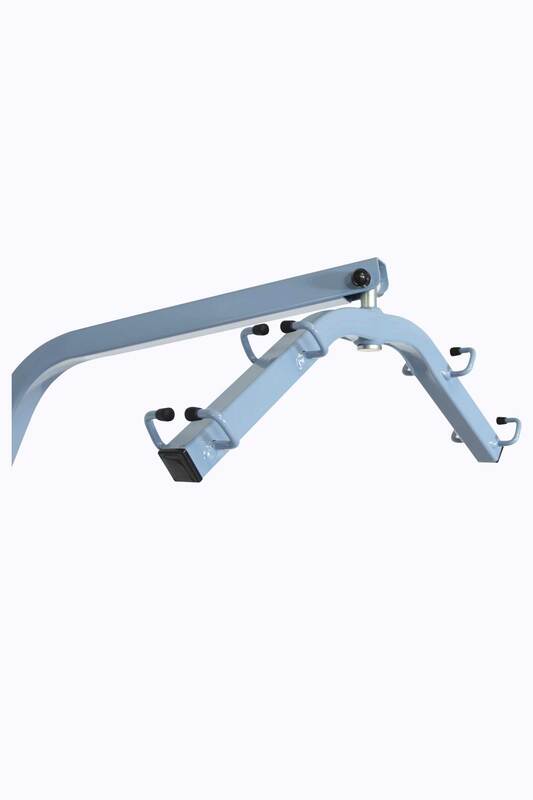 Its proportions allow a great ease of movement while remaining easy to handle, providing simplicity of use and versatility to perform secure and comfortable transfers. 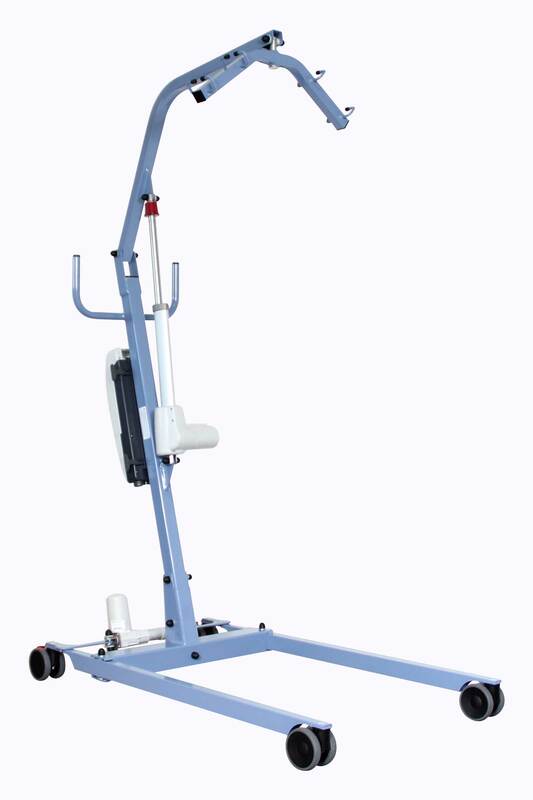 Its opening base legs (electrical or mechanical), from 65 cm to 107 cm, allows large widths armchair or wheelchair and an ease of access.